Regulatory changes are needed because Michigan’s economy is dependent on freight rail. Michigan agribusinesses and manufacturers alike send and receive nearly 50 million tons of products a year, according to the most recent data available from the Association of American Railroads. For Michigan, this includes not only our food and everyday manufactured goods, but also our energy supplies and the chemistry that helps provide our clean water. And, while our state ships quite a bit by rail, there are far fewer rail options to move products to markets. Over time, the freight rail industry has seen tremendous consolidation; today, there are just four Class I railroads that dominate 90 percent of the market. Unfortunately, government policies have failed to keep pace with these drastic changes, leaving many rail customers to deal with problems of skyrocketing rates, unreliable service and little access to competition. However, change is possible. The federal Surface Transportation Board, which has been tasked by Congress to resolve freight rail problems, recently announced reforms that would open up access to more rail-to-rail competition. Called “competitive switching,” this reform would simply allow certain rail customers to request that their freight be moved to another major railroad if another rail line is reasonably accessible. This is common sense and it has been a regular practice in Canada for more than a century. In addition, the STB is beginning to cut red tape for resolving rate issues in markets that lack competitive transportation options. The current system is a nightmare for rail customers due to the time and cost required to appeal decisions. Often, once an STB ruling is made under current practice, the rail practice being appealed has already had a massive impact. Like so many other rail customers, agribusinesses and manufacturers in Michigan must compete with producers in other states and overseas. This is especially important given Michigan’s unique challenges as a peninsula. Competition drives innovation and cost-savings throughout our economy — and we need the same principles to guide freight rail development in the U.S.
Our organizations, along with other members of the Rail Customer Coalition (a broad spectrum of farmers, energy producers, and manufacturers) support free-market freight rail reforms like competitive switching and streamlining the rate review process. We hope Congress and the administration will recognize the significant burdens on shippers, and help modernize America’s freight rail policies by supporting competitive switching and other pro-business reforms. Jim Byrum is president of the Michigan Agri-Business Association and John Dulmes is executive director of the Michigan Chemistry Council. 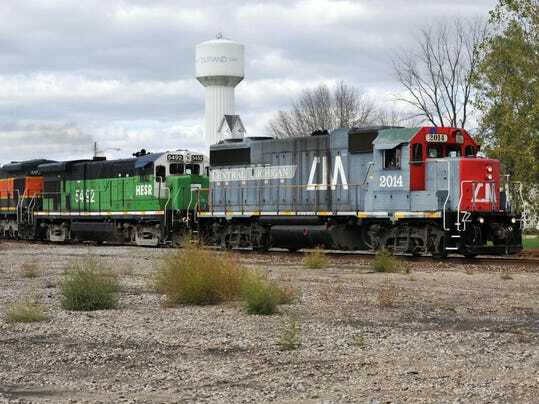 Comments on "Detroit News - Put Freight Rail to Work for Michigan"